"Many won't buy the human dignity thesis or dystopian nightmares, but credit the author for laying out how we got to this pass and why we need to act. 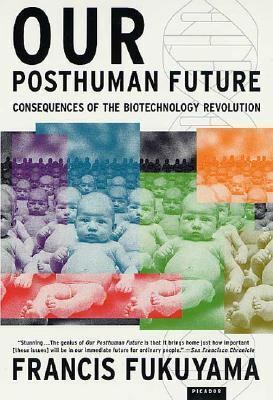 "Fukuyama, Francis is the author of 'Our Posthuman Future Consequences of the Biotechnology Revolution', published 2003 under ISBN 9780312421717 and ISBN 0312421710. Loading marketplace prices 51 copies from $1.24 How does the rental process work?